Ryan Homes at Potomac Shores nowfeatures Estate Homes in The Crossing. Our most popular neighborhood, The Crossing, features our largest single-family estate homes showcasing signature Tidewater architecture, indoor/outdoor entertaining space and spectacular views of the golf course and woodlands. 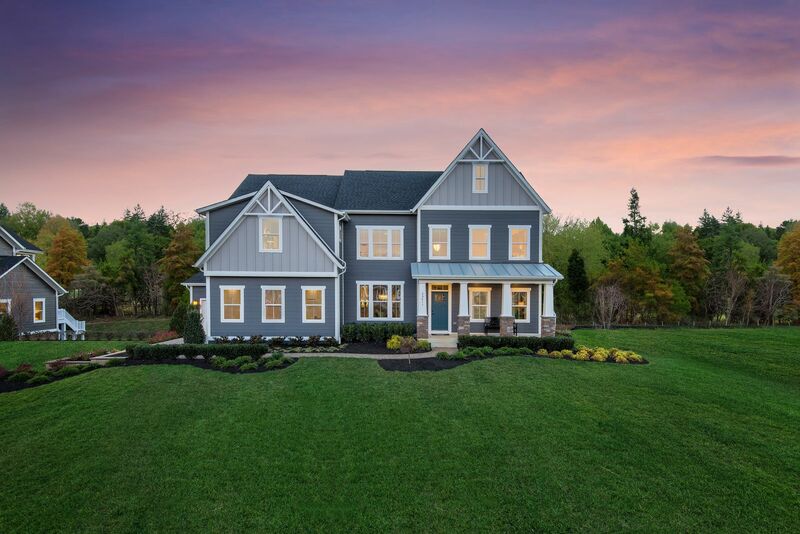 This neighborhood boasts the most exclusive homesites available in Potomac Shores and floorplans that feature charming front porches, luxury finishes and unique design features. This is your opportunity to own a beautiful home in Northern Virginia’s most sought after community, Potomac Shores. The Crossingneighborhood also offers floorplans that feature craftsman-style architecture and fresh designs perfect for both or everyday living and elegant entertaining. Homesites in this neighborhood offer spectacular golf course views and wooded privacy perfect for outdoor living and relaxing. Have you heard? Arlington, Virginia was just announced as one of the new headquarters for Amazon! The future VRE station in Potomac Shores will take you to the VRE station in Crystal City in 6 quick stops. Live the Potomac Shores lifestyle and get the most home for your money while taking the frustration out of your daily commute. Plan your visit to Potomac Shores today, you have to see it to believe it.Click Heretoscheduleyour visitto tour our modeland receive an additional $1,000 incentive towards your new home!